Grand Ledge archers shoot in the sixth and last flight of the day at the State Tournament. The tournament was held at the Lansing Center for the first time. As we approach spring, the sport of archery gains momentum into its most important time of the season: the Archery State Tournament. On Saturday, Mar. 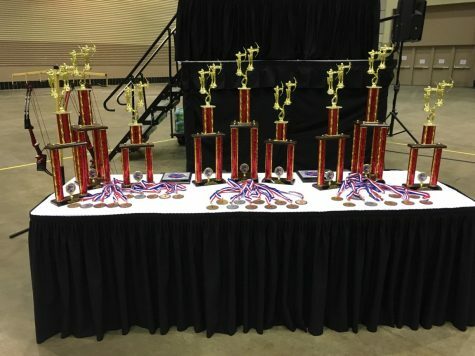 16, over 850 archers from around the state of Michigan ascended on the capital city to compete in the state tournament. This year, the state tournament for archery was held at the Lansing Center in downtown Lansing, MI. 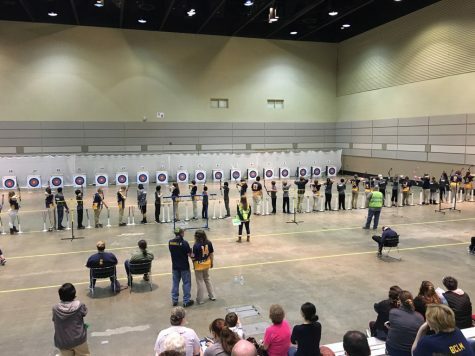 The change of venue from the Central Michigan Student Activities Center to the Lansing Center came after the MI Department of Natural Resources decided to let the MI coaches step up and run the tournament with NASP (National Archery in the Schools Program). It was the first tournament run by the new MI NASP Archery Council. Grand Ledge archery coach, Kelly Shaltry, and coaches from Hartland, Portage Central, Okemos, and many other schools helped put the tournament together with the help of volunteers. 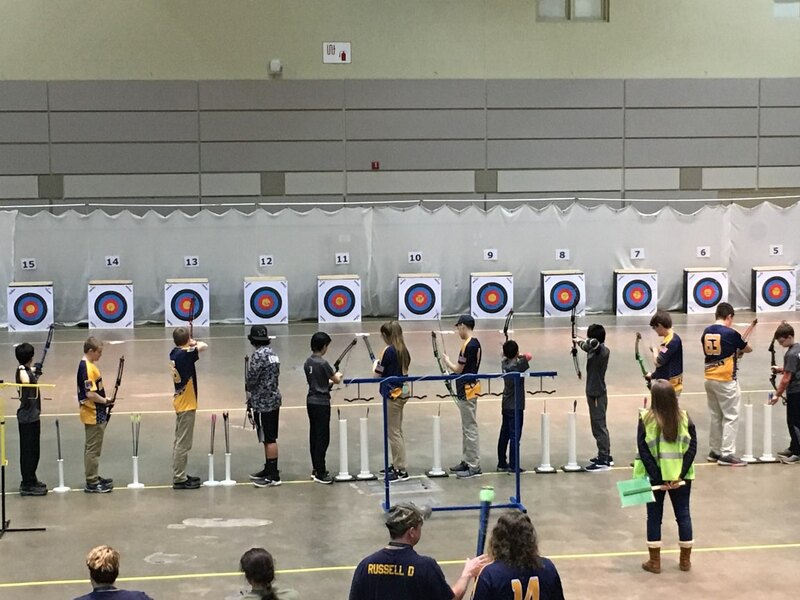 The Grand Ledge archery team qualified for the Archery Nationals Tournament. This is the seventh year in a row that the GL team qualified. GL archers shot alongside archers from Howell, East Lansing, Okemos, Hartland, Fowlerville, Gaylord, Portage Central, and many more. 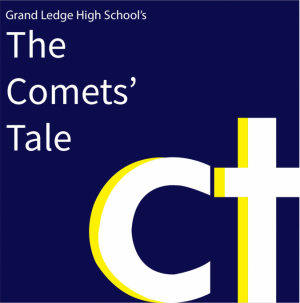 According to coach Shaltry, GL did very well and earned them another trip to Nationals. Grand Ledge placed fifth in the high school division of the tournament behind Portage Central, Fowlerville, Howell, and the first place team, Hartland. GL may have not taken the first place trophy home, but they have qualified to go to Nationals in May. However, to coach Shaltry, he wants the kids to have fun, continue to have a lot of firsts, and continue to develop and expand the sport. The trophy table has all 3 sets of trophies for the Elementary, Middle School, and High School divisions. The top male and female archers got a plaque and a new, red, metallic Genesis Bow. Congrats to the Grand Ledge archery teams for qualifying and good luck to GL when they go to compete at Nationals. The archery program is expanding across the state of MI and the country. Hopefully it continues to grow and become the best sport in can be.